Need to see how two or three languages will fit on your new carton and leaflet design layout? No problem, we can demonstrate to you, and your product team, how the Branding will look and how it's applied. We can provide you with presentation materials and slides in flat 2D artwork and 3D. 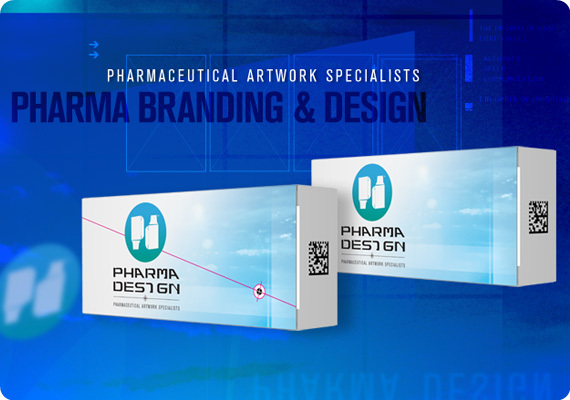 We provide pharmaceutical Branding and Design for your Marketing and Regulatory teams —except Pharma Design can provide you with pharma Branding and packaging mock–ups right at the beginning of a new project, even prior to regulatory approved labelling QRDs have been issued or what size (dielines) the product will be. So your product team get to visualize your new product and Branding working, right from the start and throughout the entire process. And because we're pharmaceutical specialists, you benefit from our expertise with legislations and compliance built–in at the initial creative design stage. General design studios and branding agencies may not be familiar with legislation requirements and codes for different countries. We can can save you time and costs – no need to go backwards to revise packaging branding and design half way through the project and getting yet another round of internal approvals from the Marketing team or —worse still— approval from Headquarters. 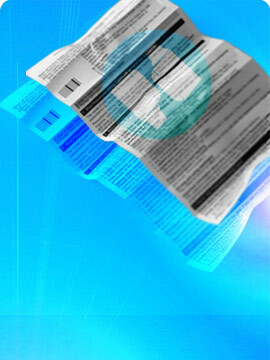 There's no time lost sending Branding designs and large electronic artwork files over from one company to another. We can build in the flexibility or adapt your existing packaging designs so that they're compliant for your various product launch and post-launch markets. Product owner groups get to see how the product will look and work – from the 'worst case scenario' multi language packs, through to the Bluebox artworks. Everyone here is very happy with what Pharma Design have done so far. For us to be at the stage where we've gone from early branding concepts to full mock–ups this quickly is much better than what we had originally planned at the start." We can take your approved licensed product data and apply this to your promotional/marketing material and meet compliance. For example; instruction booklets, leave pieces for hospital physicians, pharmacists and nurses; and more. We're also able to re–purpose your approved data into multiple formats so that, for example, a medicinal product patient instruction guide/leaflet is printed as a booklet and the 3D pack shots are used online (digital) for a website presentation. We apply our strict internal checks and QA processes to create your marketing and promotional materials. We can produce any printed item; from a basic product guide with 3D pack shots, through to complex, multi language booklets and ensure the content and data is 100% compliant and accurate. Get the Pharma Design Newsletter! Copyright © Pharma Design 2005-2019. All rights reserved. 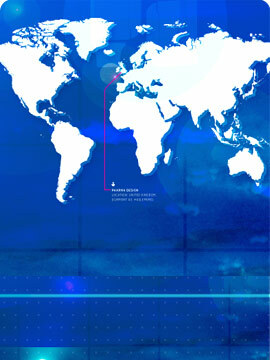 Pharma Design, Portsmouth Technopole, Kingston Crescent, Portsmouth, Hampshire, PO2 8FA, UK.